We welcome families and children! 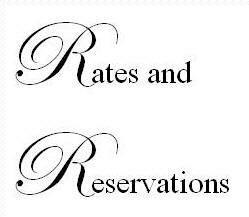 Please call at 724-236-0061 to inquiry about availability and rates for the dates you are looking for. More Information about staying at the Old Parsonage! A major credit card will be required to book a reservation. A deposit of the first nights stay can be charged over the phone at time of booking. You can contact us through our link at bedandbreakfast.com or call the Innkeeper for personal service at 724-236-0061. *Multiple room reservations will require a deposit for each room. Cancellations 8 days or more will be charged a $35.00 fee for each room held. Cancellations made within 7 days of arrival will result in forfeiture of deposit. Bookings made inside 7 days are subject to full forfeiture of deposit if cancelled. *Multiple room bookings will be subject to forfeiture if a room is dropped less than 8 days out. Check-in time is 2pm unless your room is ready. You may pre-register and leave your luggage here as early as 8am. Check-out is at 11am. Weekly and monthly rates also available. Call for details. Tax will be computed at the time of your stay.